From the title alone, you can pretty much tell that this is from my smokey eye phase. I highlighted my face with loose powder placed generously in the areas I wanted highlighted after which I proceeded to get my eye makeup done. In this look, I extended the powder up to the tail of my eyebrows. I must say that this really helped to lift my eyes as can be seen from the full face pictures. I made sure to blend out the line of the powder while contouring my face. see how the corners of my eyes are lifted. I also love the way my under-eye area is highlighted. Barbara, I love looking at your blog..So many beautiful things to see. I wanted you to know that I am passing on a blog award to you. It's a beauty award called the "Laine". If you'd like to accept it, come on over to the blog and grab it. Keep blogging, I love reading your stuff! Oh Thank you so much Michele. I am super excited about this. I would definitely love to collect the award so I will come by as soon as I can. 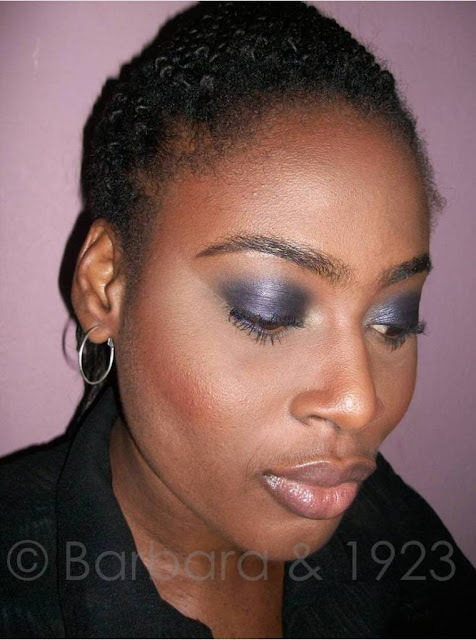 Smokey eyes with a purple eyeshadow. Now, that's really cool because it means I am not restricted to black alone. Thanks Barbara! Oh yes definitely. I can't remember the last time I did a smokey eye with black cos its so long ago. Perhaps I should do a smokey eye series *thinking*. 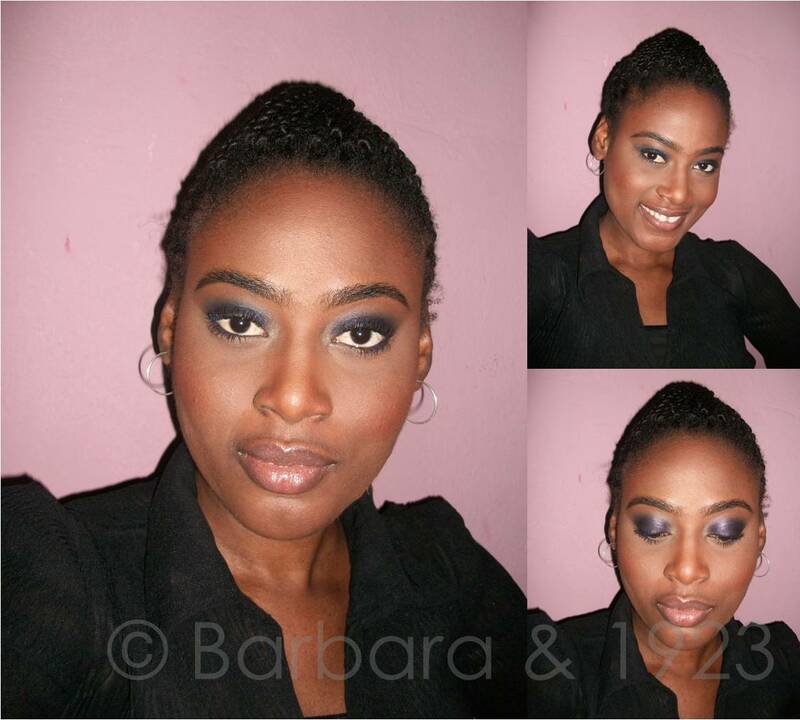 You can achieve a smokey eye with a variety of colours. Popularly called the colourful smokey eye, it's a lot of fun. Great blog! Nice beauty tips and a great window into your country. I love how your eyes turned out. Makeup is not one of my specialties so I started following you on Bloglovin to learn more. Thanks also for visiting my fashion blog! Awww Coleen, it is so nice to have you here and I am super glad you loved it. Thank you so much for the follow. I love the eyes but I can't do it. I always look werid lol. Nice tips I love your blog. I'll be back. Awww, I wish you were here and I could show you how to do it Patricia. Thank you and I am so glad you loved your visit to my blog. Thank you so much Naomi. Hello, lovely blog you have! Thank you Monica. I would absolutely love that. I am heading over to your blog now.